Snow-sure skiing, with a state-of-the-art lift system and some seriously lively après-ski! The choice is yours – ski hard or party hard. But if you can manage both, you’re in for a hectic, thrilling week! Ischgl is a pretty but also pulsating village just 90 minutes from Innsbruck with a fantastic snow-sure ski area. It’s compact and easy to explore via a series of underground tunnels and escalators. The après-ski is renowned yet varied and the nightlife is positively urban in nature with a vast array of cafés, restaurants, bars and nightclubs. Ischgl’s ski area is aimed at intermediates and advanced skiers (but beginners will also feel perfectly at home here) and offers just as much off-piste as on-piste. Intriguingly, it’s linked with the duty-free Swiss enclave of Samnaun - in fact a large section of the terrain is actually in Switzerland. Ischgl prides itself on its ultra-modern lift system, many of which are high-speed and even heated, giving easy access to more than 238km of pistes with a further 40km ski terrain in nearby Galtür. A major cable car has been added to its lift complex: the 18.5 million Euro Piz Val Gronda, which has hugely improved access to unpisted freeride terrain in the Fimbatal Valley. Also new is the 3 S Pardatschgratbahn from town, serving slopes with a vertical drop of 1257m (4124ft) – said to be the biggest vertical drop served by a triple-cable gondola in the world. The nursery slopes are situated at the Idalp, reached by gondola. The Silvretta Ski Arena with six interconnecting valleys and over 50 blue and red runs is ideal for intermediates. 10 of its 44 lifts rise up to 2,700 metres and, along with an extensive network of snow canons and north-facing runs back to the village, Ischgl enjoys an extremely reliable snow record. There is also a selection of picturesque forest runs and the lovely long Alp Trida run down to Samnaun (included on the local area pass). With as many kilometres of off-piste as on piste skiing, Ischgl is an expert skiers paradise. Off piste enthusiasts will enjoy the high terrain now accessible due to the new Piz Val Gronda gondola. In a quiet yet central location in Ischgl, the Hotel Solaria has recently been refurbished to a high standard, with great attention to detail. Elegant, stylish and with high quality accommodation and cuisine, the four star superior Hotel Brigitte has become a real favourite amongst our guests. The Rudiger family take great pride in this small and friendly bed and breakfast. It enjoys a convenient central location and is the perfect retreat for a charming Austrian getaway. Hotel Val Sinestra is a small and hearty establishment with a unique homely and authentic Austrian atmosphere. 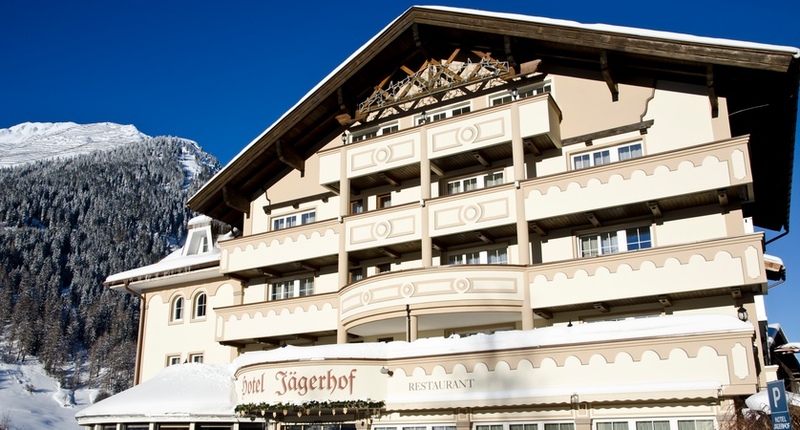 Hotel Jägerhofs character is as warm and welcoming as its inhabitants. Superb food and great quality of service will define your stay in one of our most popular hotels. The Madlein is a ‘state-of-the-art’ design hotel in the village centre, and has won many awards for its contemporary atmosphere and décor. With a great location right on the high street, the modern Hotel Dorfschmiede offers 4 star quality and the flexibility of bed and breakfast allowing you to try out some of the many restaurants Ischgl has to offer. The 7km toboggan run is open on Mondays and Thursdays throughout the winter season, depending on snow conditions. Prices are approx. €23 for adults and €13 for children, which covers one ascent of the Silvretta gondola and hire of a toboggan. * Does not include boots. L (15-21 Dec & 5-18 Jan & 6 April -end of the season), H (All other dates). All Saver Packs must be pre-booked in the UK and are not bookable locally. Flight supplements may apply on some flights. Private transfers and Self drive are available.